My 3 year old has loved firetrucks ever since he sat in some real ones at the friendly LAFD as an almost two year old. He has enjoyed zooming this Fire Truck From Green Toys in many of his pretend adventures. It has two removable ladders and one that raises up and swivels. I love that it is made of recycled plastic and that it has been sturdy to withstand lots of play. He enjoys its big wheels and the moving ladder. I've even seen him sitting on it and pretending he was driving the Fire Truck! He has also been seen running around the house making siren sounds with the fire fighter helmet he received from the fire department. It has seen better days and I should upgrade it to a more sturdy helmet like one of these. 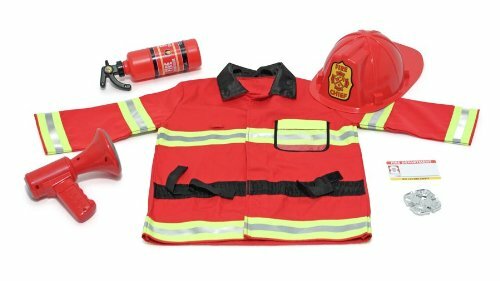 Or I've had my eye on the Melissa & Doug Fire Chief Role Play set which comes with a jacket, helmet, bullhorn, "fire extinguisher" and a badge. I know he would love this! 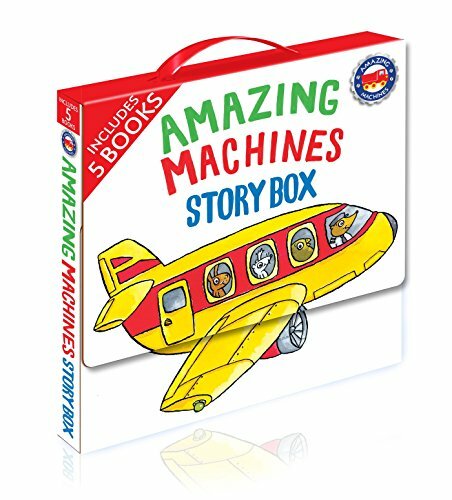 He received a gift of the Amazing Machines Story Box which has 5 paperback books including Amazing Airplanes, Flashing Fire Engines, Terrific Trains, Tremendous Tractors and Roaring Rockets. He has requested that I read these several times. They are entertaining and I have to admit that I have learned a couple things by reading them! 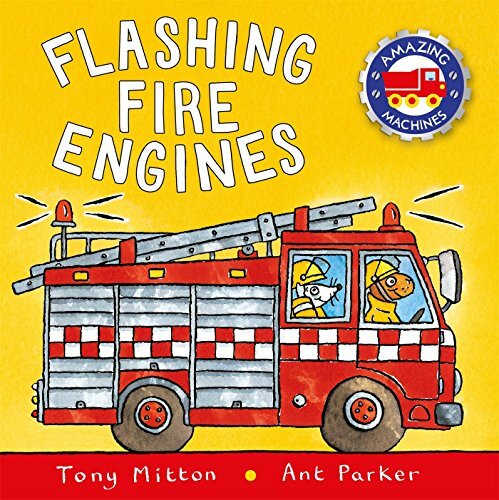 You can either purchase the box set or the individual book, Flashing Fire Engines. 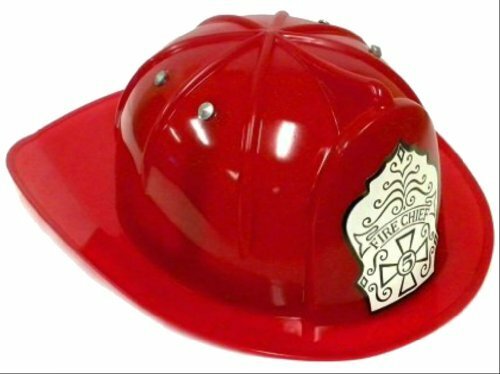 There are a lot of great Fire Truck items out there. 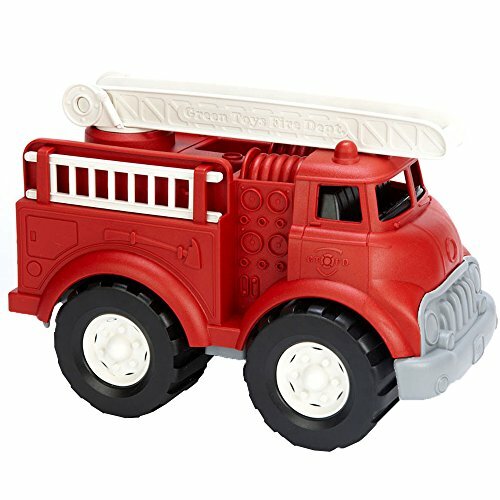 If you're looking for an additional item, I have also given this Melissa & Doug Giant Fire Truck Floor Puzzle to a 3 year old.